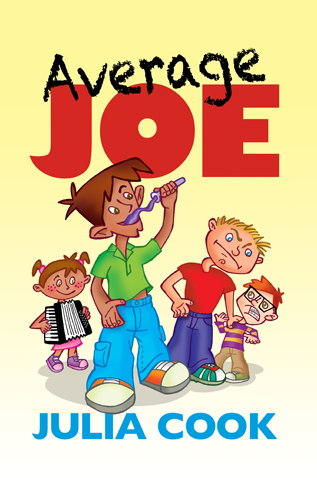 Meet “Average Joe” – a not so average 12 year old. Three years ago, Joe’s dad, the brilliant scientist, was working on his latest invention: Flawless Forever – a top secret anti-aging serum that keeps grown-ups young forever. Joe’s curiosity gets the best of him, and he sneaks into his dad’s lab and tries the Flawless Forever on himself. Unfortunately, it has the opposite effect. Within a few minutes, Joe explodes into a 22 year old man! Luckily two hours later, the serum wears off and Joe changes back into a 9 year-old kid with one side effect: since being exposed to the serum, Joe has not grown. Now Joe is a 12 year old stuck inside a nine year old’s body FOREVER! It doesn’t take Joe long to figure out that when he takes the Flawless Forever, he can accomplish things that other kids his age only dream about. A kid who can turn into a grown up for two hours any time he wants to… imagine how much fun Joe can have!